To understand the extent in which AI is taking over hedge funds, we need only to look at the statistics. AI is set to replace 90,000 asset management jobs and 45 thousand sales and trading jobs by 2025. Famous hedge funds that are already employing AI in their trading are Renaissance Technologies, Two Sigma, and Bridgewater Associates. Hedge funds that replace their human workers with AI ones are greatly outperforming their traditional counterparts. In fact, Renaissance Technologies, the hedge fund that is one of the most reliant on AI, has a Medallion Fund that has been giving positive returns of between 20% – 98% from 2002 to 2016. During the 2007-2008 financial crisis, Medallion Fund gave annual returns of 85.8% and 98.2% respectively. These are very impressive returns for the legacy financial markets. Since AI is taking over the hedge fund industry in the legacy financial system, the rush of hedge funds into the cryptocurrency space will inevitably bring AI trading technology into the crypto markets as well. To understand more on the AI phenomena, I interviewed Guy Zyskind below. Marcel: News.Bitcoin.com posted an article recently detailing the now 124 new hedge funds dedicated purely to cryptocurrency investing. Just a couple of months ago, Business Insider posted an article looking at 50 hedge funds in crypto. So hedge funds are rushing into the crypto market, but the development of Catalyst suggests that hedge funds can’t just jump into trading, they must back test and simulate trading strategies before entering the markets. Can you shed some light on this issue? Guy: It is important to understand the history of equity markets to understand how the crypto markets will evolve. Fifteen years ago, financial markets were less sophisticated, and you had traders on every floor. Traders bought stocks and they did some re-balancing from time to time. That was pretty much it. Now, computers and machine learning process the data and execute trades, not traders. Hedge funds in the financial markets today predominantly use algorithms and quantitative trading. We are going to see the crypto markets evolve in that same direction, but crypto will evolve 10 times faster than the way it did in the traditional equity markets. Marcel: What does the time frame look for a hedge fund that tries to get into crypto trading using AI and bot trading? Guy: That depends. So if hedge funds want to build their own platform so that they can back test trading strategies and all that, it takes 3 months to get something basic off the ground. If hedge funds traded crypto like how they traded traditional financial markets 15 years ago, it would be instantaneous. But old school is not the way most hedge funds work today. Our platform, Catalyst is meant to help hedge funds save all that time of aggregating data. So hedge funds download Catalyst, install it, simulate trading, get results within minutes and can immediately run live trading. The most time consuming part of the process would be for the hedge fund to develop trading strategies, but that is what the hedge funds are for, figuring out effective trading strategies. Marcel: Back in the day you used to be able to manually arbitrage coins across different exchanges. When automated bot trading came, it made it almost impossible for retail investors to do this. How do you think AI and automated bot trading will change the crypto markets for retail investors? Guy: It’s good and bad. Quantitative and high frequency trading has done wonders in providing liquidity for the equity markets. One of the biggest problems with the crypto markets today is that it is illiquid, especially for the small cap coins. Introducing bots increases liquidity. Retail investors can trade more easily, and the market will not be moved by small trades (relative to equity markets). That’s the good thing. 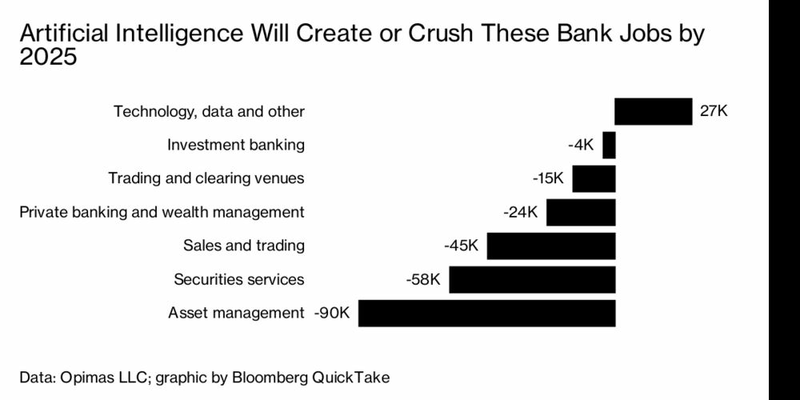 The bad thing is that retail investors will have to be more sophisticated to stay in the game, especially when competing with an AI that trades. Retail investors have to adapt, or they will lag behind and disappear. They need to get into the game of more quantitative trading, more data driven decisions. Marcel: It sounds like AI and automated bot trading will also decrease the intra-day volatility for the coins. Guy: A lot of the intra-day volatility comes from speculation and that decreasing is a good thing. Marcel: Makoto, one of the earlier core developers for NEM, told me that, “People always think that when AI beats a human at like GO or in trading crypto markets, that it is a machine beating a human. It’s not, it’s about the entire software development team beating one human person.” As a company developing your own AI, where do you stand on this issue? Guy: I like it, very interesting thought and I would add to that. When you compare an AI to a human, the AI is the sum of all the experience of many other humans combined, not just the development team. The data, the experience, the wisdom of the crowd is very easily learnt by the machine and is then pitted against a human expert. So Makoto is half right, it is a machine that beats a human, but a machine that learns from the collective wisdom of the crowd. Do you think that hedge funds will bring artificial intelligence into cryptocurrency trading too? Will you change your trading strategies as an investor? Tell us in comments below! Photos courtesy of: Shutterstock, Bloomberg and LinkedIn. news.Bitcoin.com opinions and editorials are vital reading. Experience more of them here. At Bitcoin.com there’s a bunch of free helpful services. For instance, have you seen our Tools page? You can even lookup the exchange rate for a transaction in the past. Or calculate the value of your current holdings. Or create a paper wallet. And much more. The post Artificial Intelligence Is Coming to Crypto Trading: An Interview with Guy Zyskind appeared first on Bitcoin News.